Stratford Upon Avon is his birth place. It is situated by the river Upper Avon in the centre of England. The city has wide an attractive streets. Nearby, in shottery is situated Anne Hathaway´s house. She was Shakespeare´s wife. The Shakespeare cultural centre and the Royal Shakespeare´s theatre are situated on the banks of the river. He is buried in the Holy Trinity Church. William Shakespeare was born in 1564 in Stratford Upon Avon. He was the son of an businessman and went to the local grammar school. In 1582 he married Anne Hatthaway and they had three children. 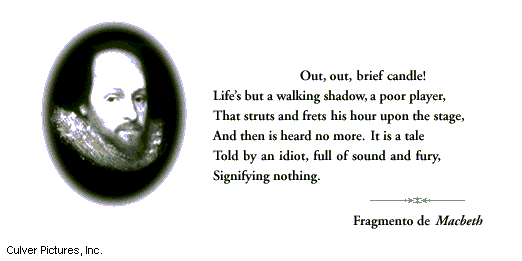 He left Stratford in 1585 but we don´t know what he did for the next five years. In September 1592 he worked as a playwright and as an actor in the Globe Theatre. He wrote his first play in 1590 and finished his last in 1612. He died in 1616. In Shakespeare´s times, people thought that monarchy was of divine origin. The Queen was Elizabeth the first and her reign lasted from 1558 from 1603. The majority of englishmen didn´t possess the right to vote. Monarchy, aristocracy, gentry and burguesses lived in stable conditions.England was a rural country and cloth was the main industry. Most men didn´t possess land, for example, the agricultural labourer, the textile worker and many others. During Shakespeare´s lifetime, Europe was always at war, but England wasn´t involved until 1585 when she was at war in Netherlands, Ireland and the high seas. Worse than war were the effects of hunger and desease. Another problem was the rise in population. Industry hadn´t the capital, the markets, the raw materials and the technical resources to absorb this increased labour and so, the population was bigger than its industry. Concequently, the results of this situation were unemployment, underemployment and inflation. Shakespeare wrote 37 plays between 1591 (Henry VI) and 1612 (The Tempest). He is said to have begun his career as a writer by adapting plays by other authors. They were 154 and written before 1600. Some ot their themes are: night apartition of A lover,called dark lady, love, experiencie and humillation. The first Globe Theatre has an interesting origin. It seems that the Lord Chamberlain's Men originally performed at a place appropriately named "The Theatre". on the outskirts of London. As their lease on this building came to a close, Richard Burbage bought the “Blackfriars” theatre. In 1598 , the company literally took matters into their own hands. They returned to The Theatre, stripped it to the foundation, moved the materials across the Thames to Bankside, and proceeded to construct the Globe. It was an open-air octagonal amphitheater that could seat up to 3,000 spectators. 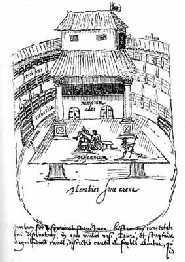 In 1613, the original Globe Theatre burned to the ground. Responsibility has been placed on a cannon shot during a performance of Henry VIII that ignited the thatched roof of the gallery. 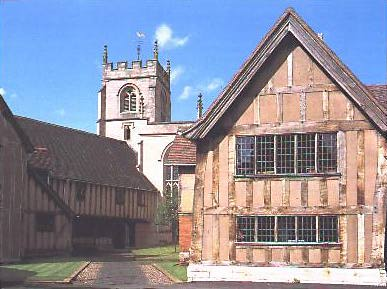 Construction was begun on the original foundation, and a new Globe was summarily completed before Shakespeare's death. The new Globe continued operating as a theatre until 1642, when it was closed down by the Puritans. In 1644, the Globe was razed in order to build tenements upon the premises. In 1993, the late Sam Wanamaker saw the beginning of construction on a new Globe theatre near the site of the original. This latest Globe Theatre was completed in 1996, and was officially opened by Queen Elizabeth II in May of 1997 with a production of Henry V.
His plays are based on all the aspects of the human heart and soul, all the impulses, all the passions, from love to piety, jealousy, ambition, avarice and doubt. Some of his plays are based on classical ancient history and others on english history. Shakespeare is considered to be the greatest writer in english literature because he didn´t belong to a specific period of times but to all times. From XIX Century onwards, his works have been appreciated all over the world. Most of his plays are still performed and inspire several teatrical because they comunicate a deep knowledge of the human nature, shown by the perfect caracterization of the characters. His ability in the use of poetic language and dramatic sources is unique wihtin universal literature.